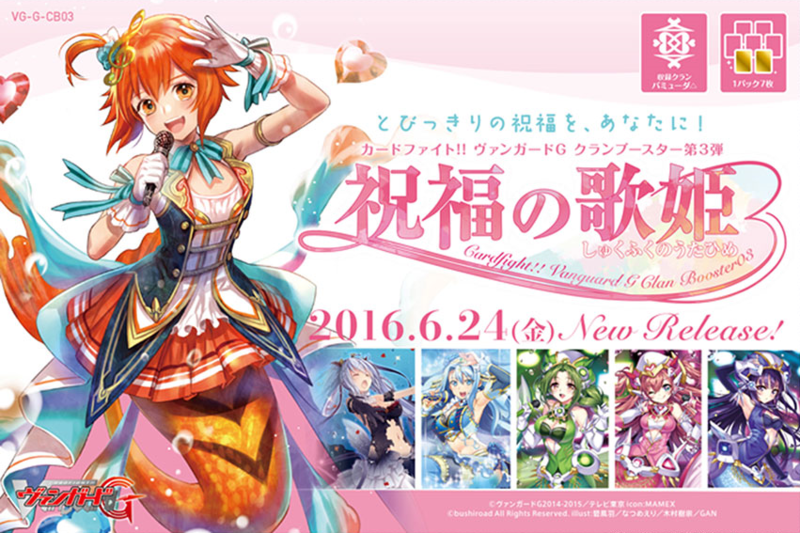 Welcome back to another weekly update of the new cards for Cardfight!! 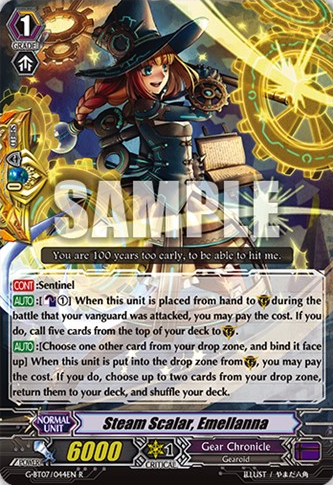 Vanguard. 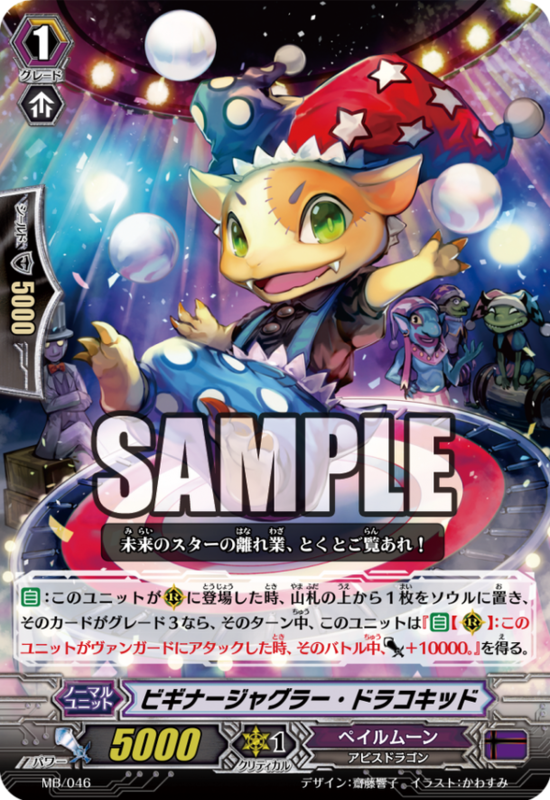 This week’s update is coming a little sooner than usual due to the Easter holidays but there are still some awesome cards to go through this week with some new Fighter’s Collection cards and all-new promos. 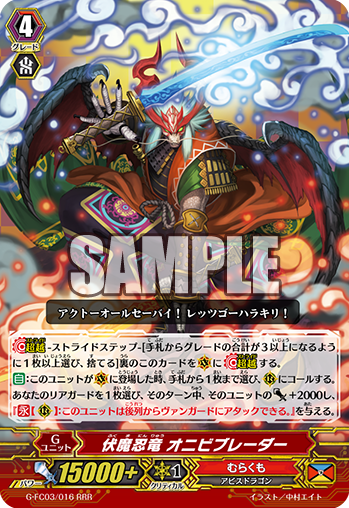 This first one up today is the new Royal Paladin GR stride for Fighter’s Collection, Divine Knight of Rainbow Brocade, Clotenus. 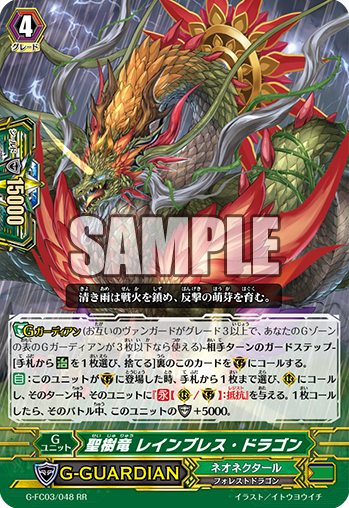 As an ACT you can CB1, SB1, and G blast to superior call Grade 2s from the deck up to the same amount of face-up Divine Knight of Rainbow Brocade, Clotenus in the G zone. 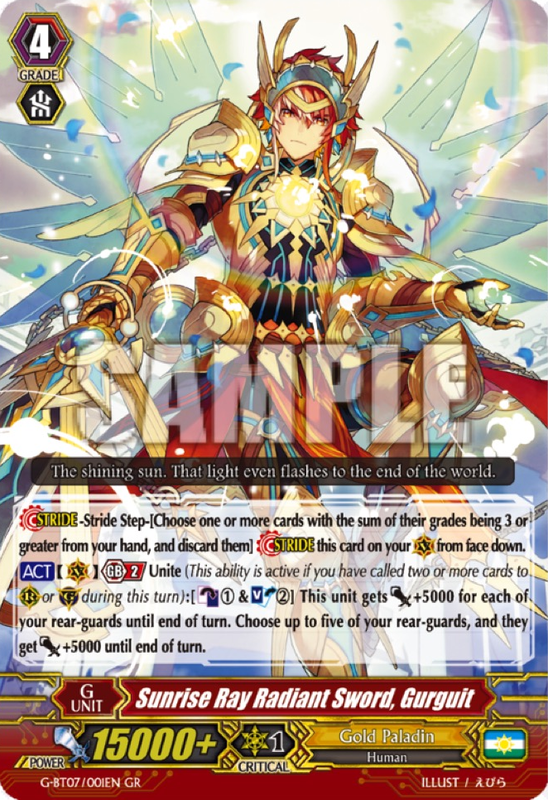 Then, if you also have five rear-guards and are at GB3, Clotenus himself gains +10000 power and an extra crit. 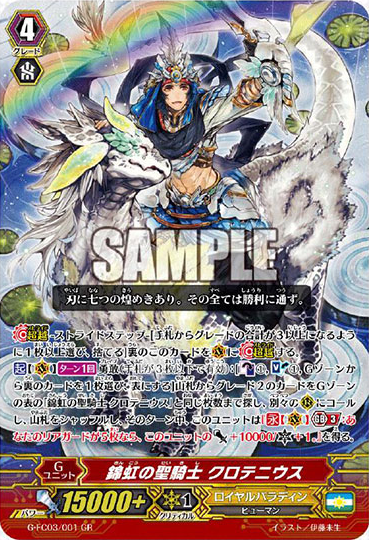 Luckily with this skill happening before attacking you can very easily be on Brave and you can prepare for Clotenus but using Transcending the Heavens, Altmile to flip Clotenus face-up so you can superior call more Grade 2s and have a better chance of getting the power boost. 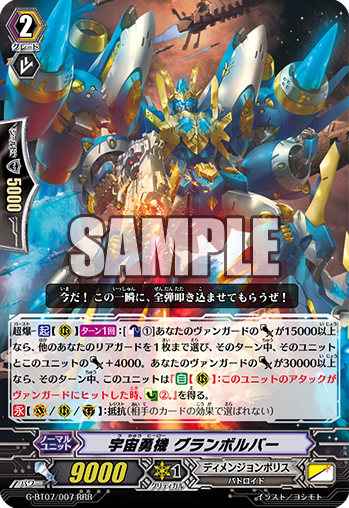 The same thing can be applied to Climax Jewel Knight Lord, Evangeline if you plan on using this guy in a Jewel Knight deck. 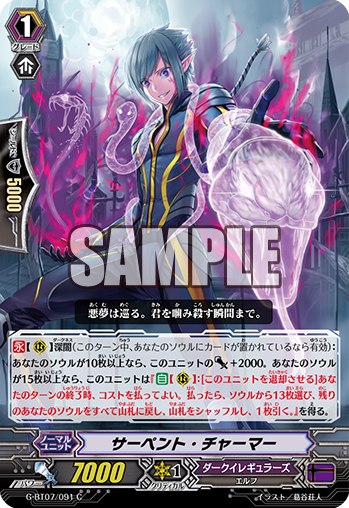 Dark Irregulars get a pretty nice RRR stride with Rebellious Retainer of Fresh Blood, Frederick. 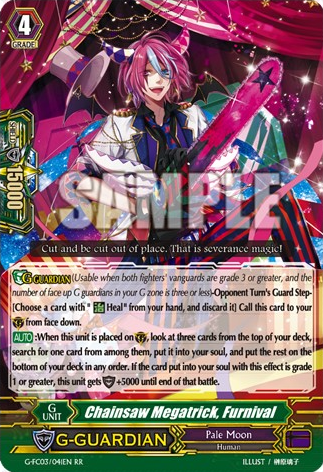 With the ACT cost of putting a card from your hand into your soul to gain +1000 power for each card in the soul. 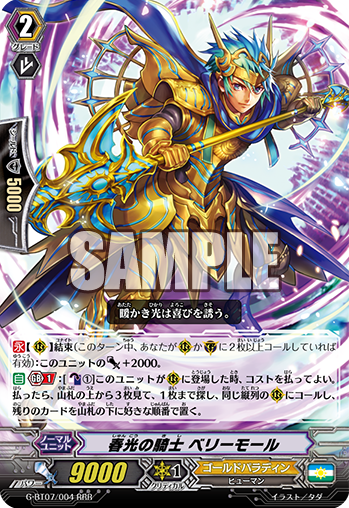 You can use this multiple times in one turn but if his power gain goes to 10k or higher then you can’t do it anymore that turn but your rear-guards in the front row get +5000 power. 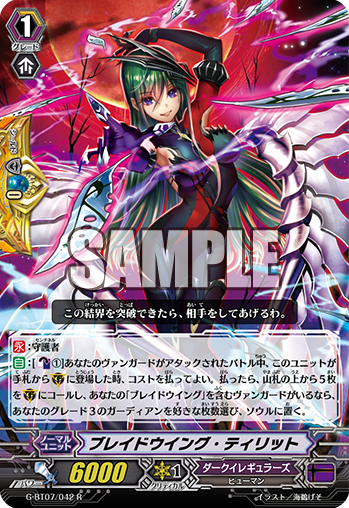 I like how you choose from the hand because this gives you a better idea with what’s going to happen with Dimension Creeper and Hades Carriage of the Witching Hour who usually rely completely on luck whether they get into the soul or not. 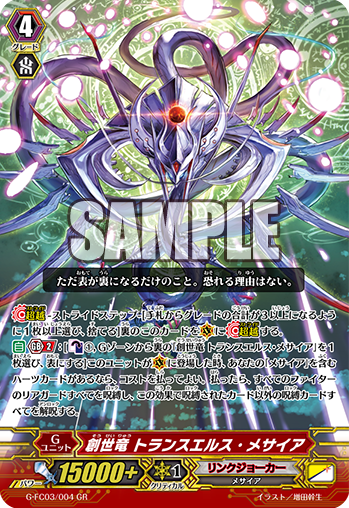 Lastly for this week’s Fighter’s Collection cards we have the Link Joker GR stride, Genesis Dragon, Trancels Messiah. 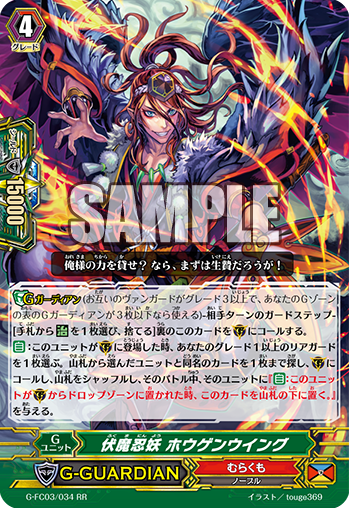 When Trancels Messiah is placed on the Vanguard circle, you may CB1 and G Persona Blast to lock all rear-guards of both players and unlock any units that were already locked before this effect, though this skill can only be used if you have a Messiah heart. 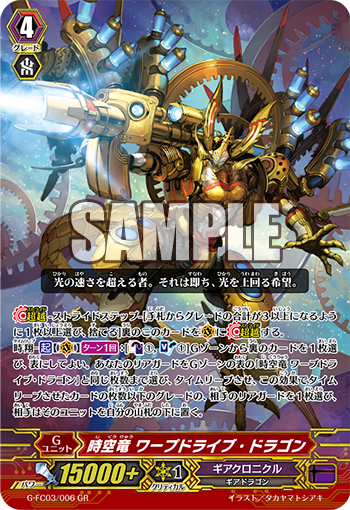 While doing this, if you activate Alter Ego Messiah‘s on-stride ability before Trancels then you can lock one of your own units and unlock it again straight after. 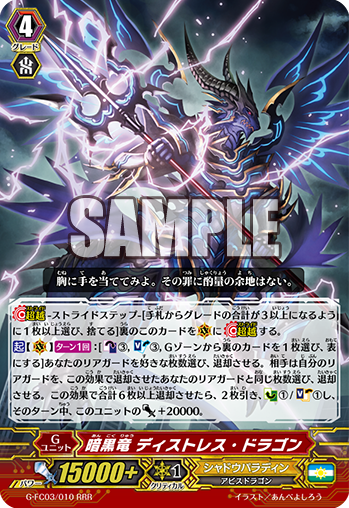 Using Alter Ego’s skill on Blast Monk of the Thunder Foot can be a big advantage to you to then have him unlock Dark Metal Chameleon when he attacks for him to gain +4000 power and Dark Metal’s skill of Counter Charging 1 when he is unlocked to make the whole cost of it CB1 instead of CB2. 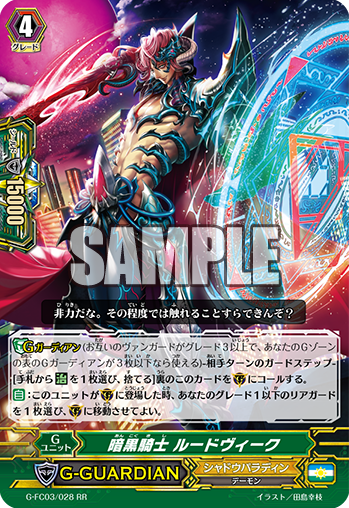 At the end of your turn Alter Ego’s other ability can then kick into play to Soul Blast 1, when one of your units is unlocked, to draw a card. 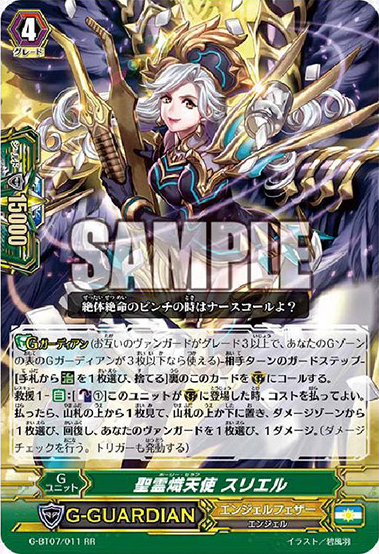 If you have a big soul then it’s possible to be able to draw five cards at the end of your turn with this effect, making nine new cards in your hand for the whole turn if you count the starting draw and triple drive. 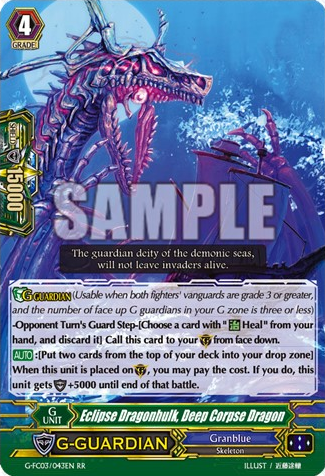 Seeing as a lot of G units are characters from the future it’s only fitting that we would eventually see them as normal units and it seems they wanted to start this trend off with Bermuda Triangle’s Olyvia. 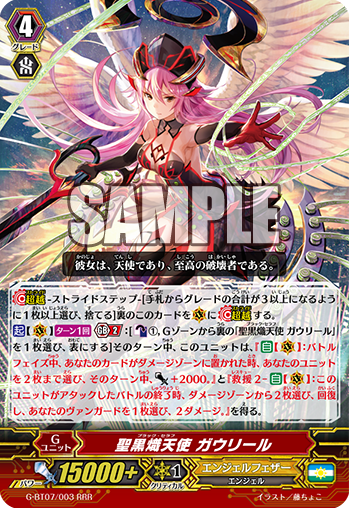 The new Cheer Free Etoile, Olyvia has a CONT ability that gives her +5000 power for each face-up School Etoile, Olyvia in the G zone. 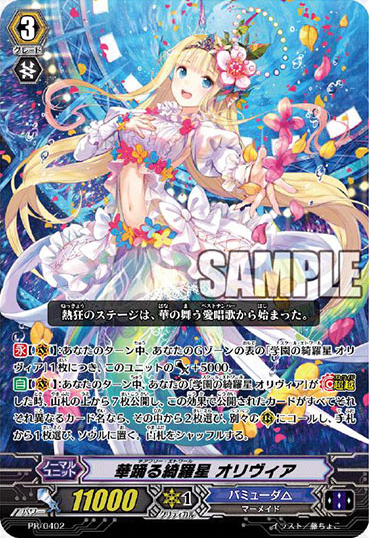 When School Etoile, Olyvia strides over her then you must reveal the top seven cards of your deck and if they all have different names then call two of them to RC and choose a card from your hand and put it into your soul. 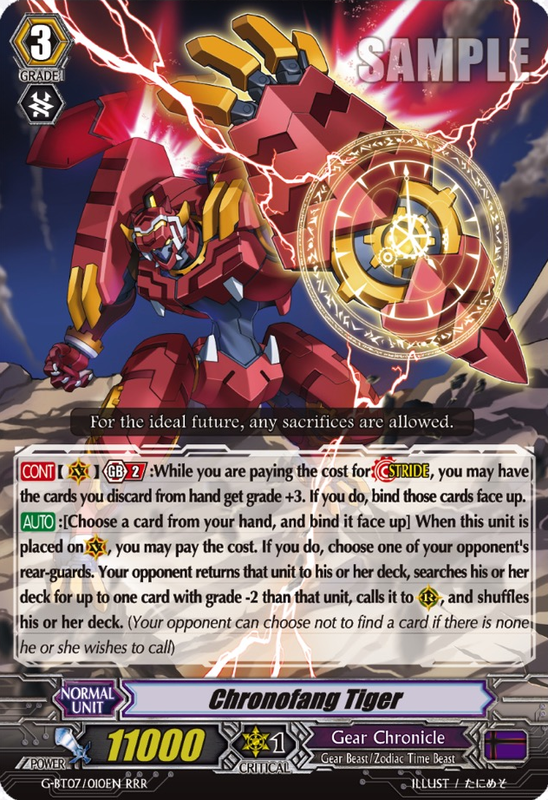 People have been saying that to make this card consistent you must make your deck inconsistent and they are correct. 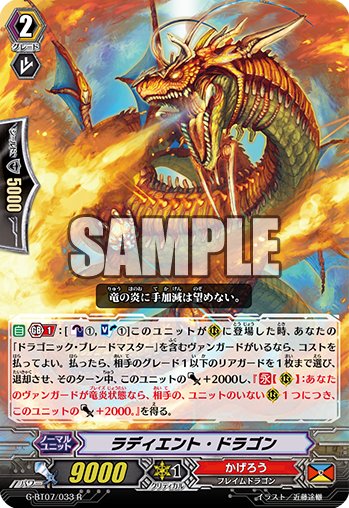 You’ll have to be running a lot of 1s and 2s of card to pull this card off but at least that way it’s still more consistent than Mystery Flare Dragon. 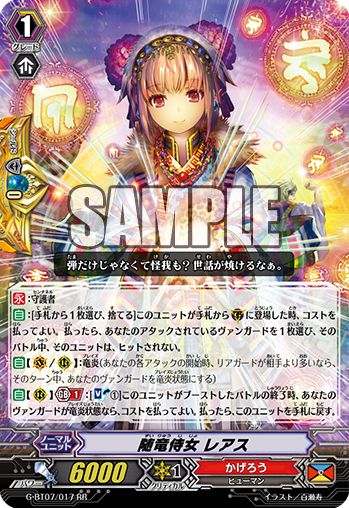 Dreaming Step, Shizuku is a very odd card to have in the G series. 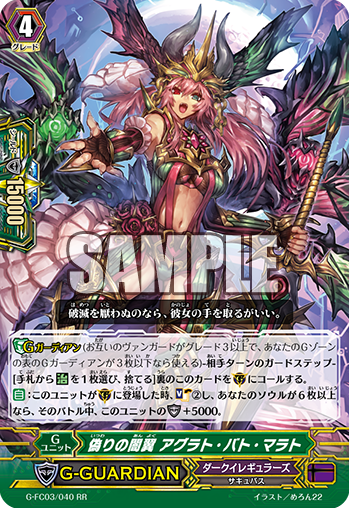 Her ability is to drop a Grade 3 from hand so she can gain +5000 power, then if she is in harmony you look at the top five cards of your deck for a Grade 3 and put it into your hand. 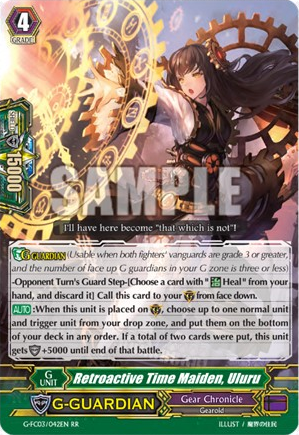 Back before the G series, this would have been pretty good with your Grade 3s still giving you some benefit after riding, but now that Grade 3s are valuable to use for striding it sorta kills Shizuku a little bit. 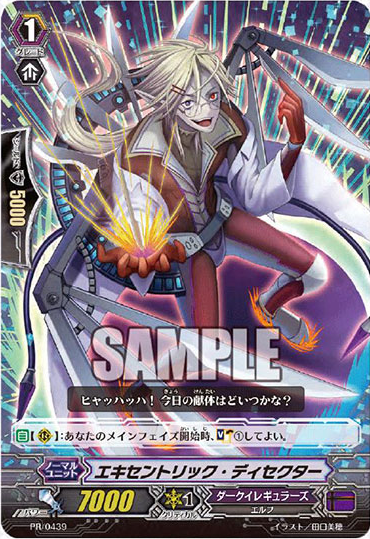 The main benefit to this is you can use it before GB but I’m not sure if it’s really worth it… unless… Bermuda stall deck! 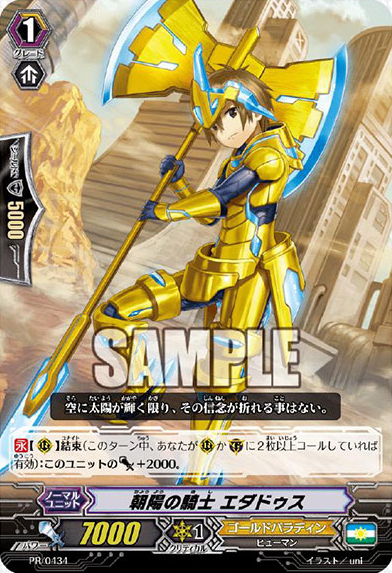 Meer gets a new stride form with Duo Absolute Sister, Meer. 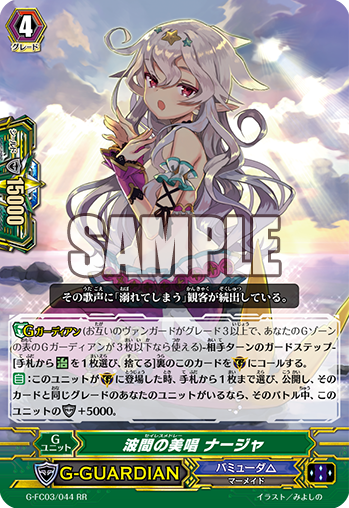 If you have a heart with Meer in the name and you SB1 you can bounce one Duo into your hand and search your deck for a Meer card to put into your hand. 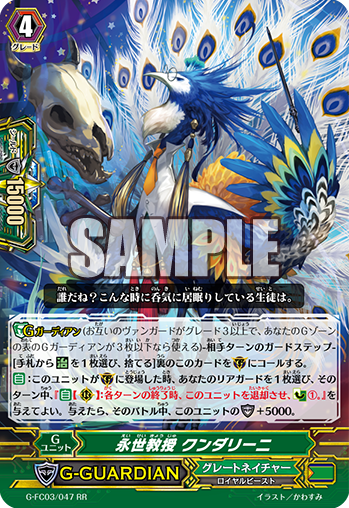 Then if you reveal three cards in your hand with the same name you can search your deck for another Meer. 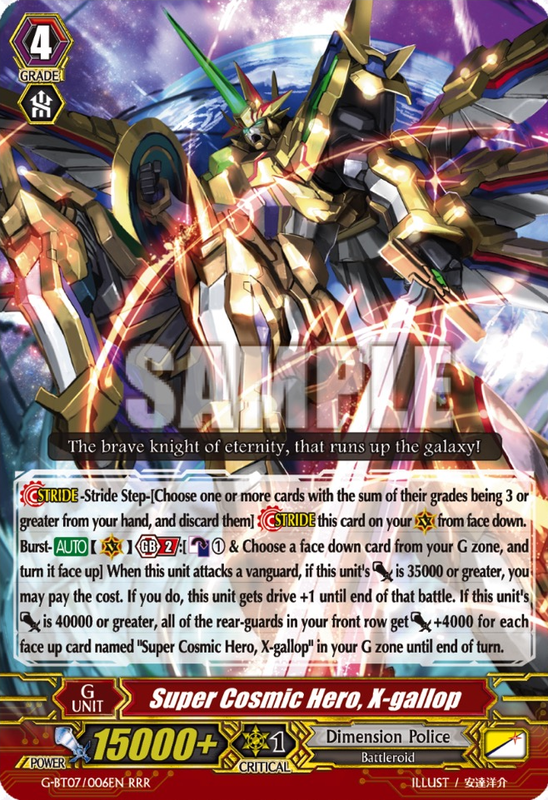 This helps greatly by giving you the resources you need to stride the two turns after this stride. 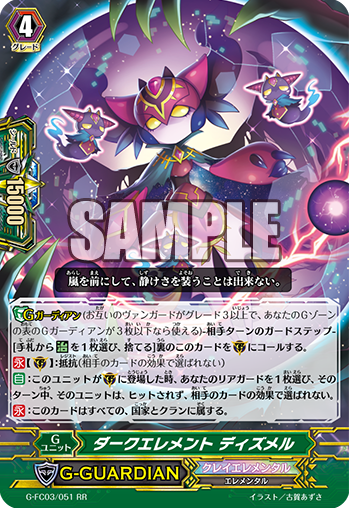 Enough with the Bermuda love for now, other clans got promos too, including a Dark Irregulars promo, Eccentric Dissector. At the beginning of your main phase, this little Grade 1 with give you the option to Soul Charge 1. 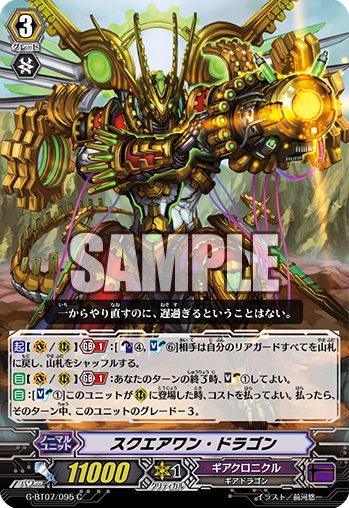 This has replaced the need for Yellow Bolt after all these years, and I’m glad it gives you the option to Soul Charge or not because it would have been a little embarrassing decking out because of this guy. 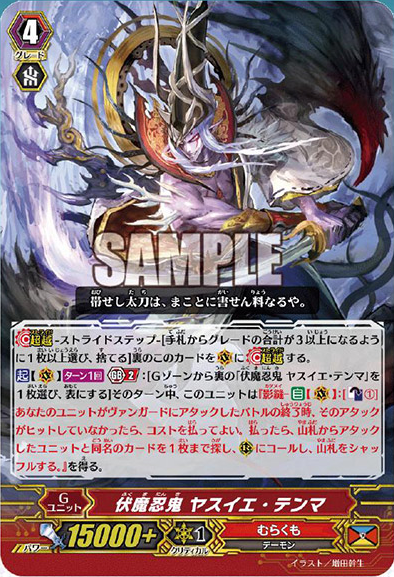 Hidden Edge Crow is a new Shadow Paladin promo who is a 6k Grade 1 but because 10k as long as you have less rear-guards than your opponent. 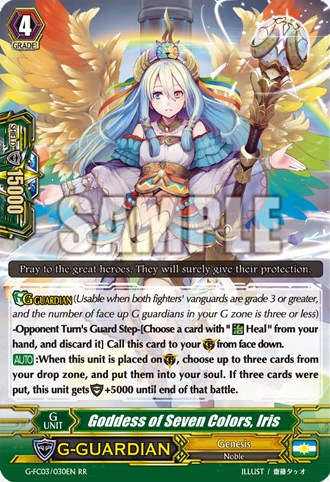 I think this card would have been fine without the GB1 but alas, it has it, though having less rear-guards than your opponent isn’t hard for Shadow Paladins. 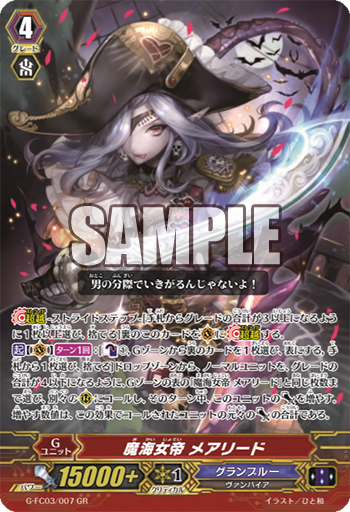 Kagero get two promos. 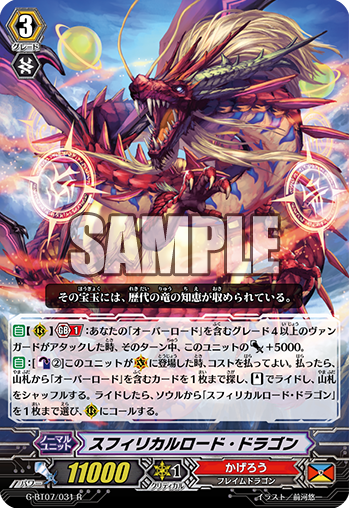 The first one being Endless Flare Dragon who is a 9k Grade 2 who gains +3000 if you reveal a Grade 3 as he attacks. 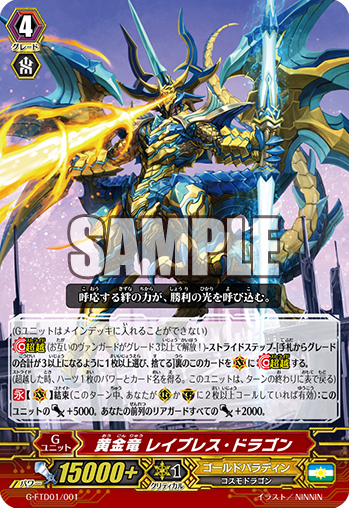 This is easy in the Dragonic Overlord decks with their need for lots of Dragonic Overlord Grade 3s to activate abilities. 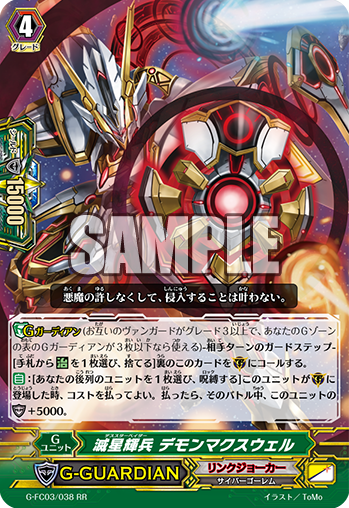 The second promo is Dragon Knight, Ruhlen who is also a 9k Grade 2 and when he intercepts you can give your Vanguard the ability to retire one of your opponent’s rested units if the attack on your Vanguard didn’t hit.